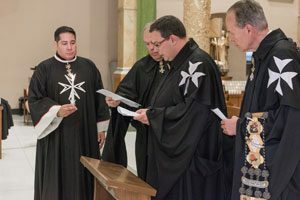 The Subpriory of Our Lady of Lourdes engages in activities to fulfill its mission of assisting its members (First and Second Class) in fulfilling their spiritual obligations and in guiding the members of the Third Class in the American and Federal Associations in the development of their spirituality. 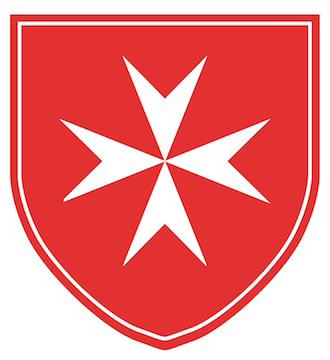 To this end, the Subpriory sponsors annually a three-day retreat for its members, candidates and Knights and Dames interested in membership in the Second Class. The retreat is extended for an additional two days for the members of the First Class wishing to make a five-day retreat and for members who wish to enter preparation with a five-day retreat and/or complete their year of preparation with a five-day retreat. Visit our calendar for more information. Candidates in preparation for the Second Class are required to make two five-day retreats, one at the beginning and one at the end, of their year of preparation, at a retreat center approved by the Regent and under the guidance of a retreat director, or, alternatively, at the annual retreat of the Subpriory. Masses are held on Feast Days of the Order by the Subpriory and in conjunction with the Associations of the Order. Subpriory Masses are held at St. Francis Church, New York City, at St. Ann’s Church in Washington, D.C. and at other locations within the two Associations. Each year in May, a Mass of the Subpriory is held in Lourdes, France, during the course of the Order’s Pilgrimage. At the Mass in Lourdes in 2017, six members of the Order made their Promise of Obedience. Under the direction of Kathryn Abell, Dame in Obedience, the Subpriory sends prayer cards and messages to those members of the Federal and American Association and their families who are ill or otherwise in need of prayers. Masses are offered by our Subpriory Chaplains for the deceased. The role of the members of the Subpriory is strengthening the Associations in their works and ministries and in witnessing the Faith. As a “spiritual” community, the Subpriory of Our Lady of Lourdes does not have its own works or ministries. Its purpose is rather to allow its members, to the extent they are able to do so, to take their spirituality back to their respective Associations, and to roll up their sleeves and work side-by-side with other Knights and Dames. By bringing their Grace, or spiritual energy, back to their own Association, the Subpriory really has a direct role in strengthening the service of the Order to the sick and the poor and in witnessing our Faith to the world. In the Benedictine tradition, then, we work and pray (“ora et labora”). “…There are no hospitaller works as a Subpriory. We give our promise to God and the Church through the religious leaders of our Order to assist the professed. We show our spirituality by example to the Third Class. Membership in the Second Class is seen as a vocation. What will be expected of you? Spiritual maturity; humility; obedience to Superiors.